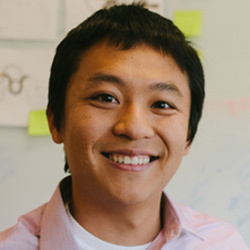 Haoqi Zhang is the Allen K. and Johnnie Cordell Breed Junior Chair of Design and assistant professor in Computer Science at Northwestern University. His work advances the design of integrated socio-technical models that solve complex problems and advance human values at scale. His research bridges the fields of Human-Computer Interaction, Artificial Intelligence, Social & Crowd Computing, Learning Science, and Decision Science, and is generously supported by National Science Foundation grants in Cyber-Human Systems, Cyberlearning (1, 2), and the Research Initiation Initiative. Agile Research Studios: Orchestrating Communities of Practice to Advance Research Training at Scale [PDF], CSCW 2017. Telescope: Fine-Tuned Discovery of Interactive Web UI Feature Implementation [PDF], UIST 2016. Habitsourcing: Sensing the Environment through Immersive, Habit-Building Experiences [PDF], UIST 2016. Studying the Effects of Task Notification Policies on Participation and Outcomes in On-the-go Crowdsourcing [PDF], HCOMP 2016. Remote Paper Prototype Testing [PDF], CHI 2015. Pair Research: Matching People for Collaboration, Learning, and Productivity. [PDF], CSCW 2014. Cobi: A Community-Informed Conference Scheduling Tool [PDF, Project Overview & Demo], UIST 2013.